Mix up the 8 tbsp of oat bran with 7 tbsp of wheat bran. Put the oats mix together with 3 tbsp of cornstarch, the sweetener in a bowl and add the skimmed milk, water and vanilla flavouring. Mix it up and add an egg, 2 tbsp of fat-free cheese and toss it all until your dough gets a homogeneous consistency. Put the dough along a cake pan and cook it up in the oven for 15 minutes. 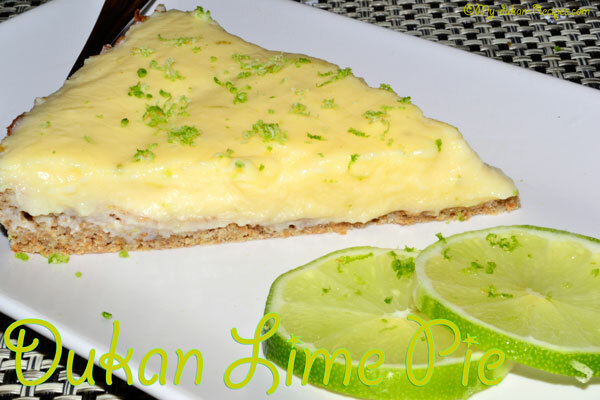 Grate a lime and keep the zest (only the green part). Squeeze it and mix the lime juice with the zests with the eggs in a saucepan. Add 2 tbsp of liquid sweetener, 2 full tbsp of cornstarch and whisk it all. Pour the skimmed milk and bring it gradually to boiling, incessantly stirring it with a wood spoon. Take it out from heat at first bubble; add 2 sheets of gelatine drained (softened for 5 minutes in cold water beforehand) and let it cool down. Taste it to readjust its sweatiness according to personal taste (you can also use some lemon/lime flavouring). Pour the custard on the already cooked pie. 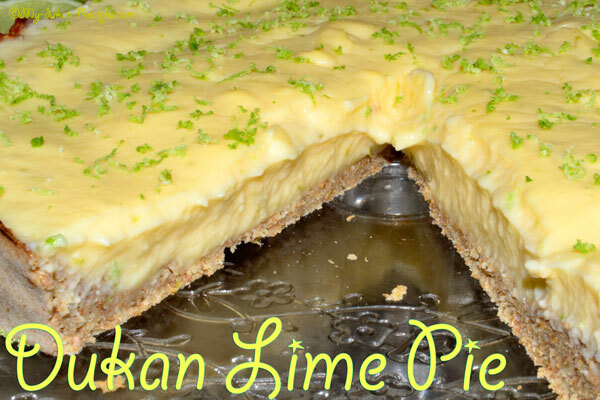 You can decorate the pie with some lime, but don`t eat them. Then let it get cold inside the fridge during a couple of hours.